I have a question for you. Want to increase ticket sales? By maybe 1500 seats...or more? Good. That's what I want for you, as well. Consider reaching an influential audience you may never have considered before... the Christian community. 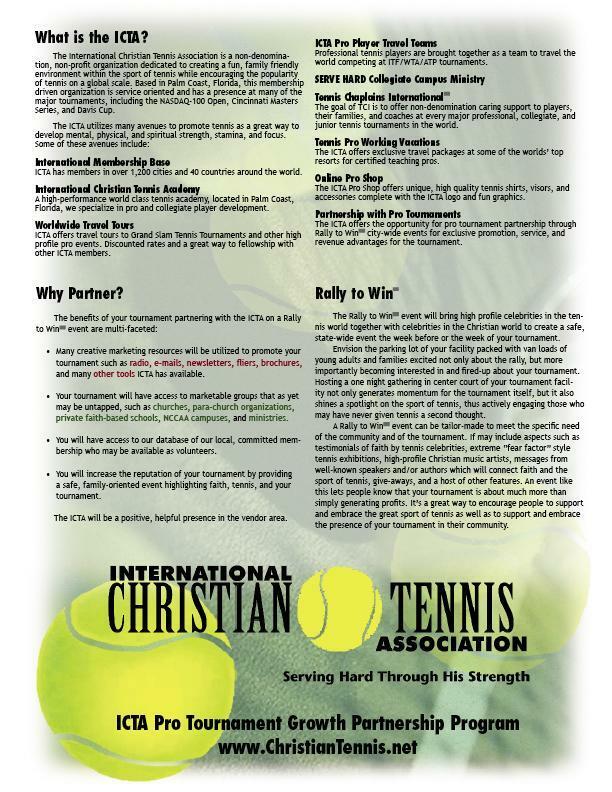 Partner with International Christian Tennis Association to participate in ICTA's Pro Tournament Partnership Growth Program. 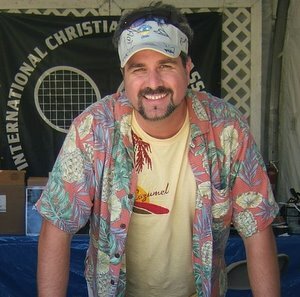 We have an unique program specifically designed to bring awareness of your prestigious event directly to the Christian community! Would you like your event promoted to churches within a 100 miles radius of your event!? We can do that for you. ICTA can host up 1, 2, or 3 special events programs designed to drive ticket sales at your tournament and exponentially increase the profile of your tournament within the Christian community. Check out these three ICTA programs...! A high profile Christian rock band & world class Christian speaker pack your stadium for a one night event! ICTA connects your tournament to the untapped Christian community! ICTA members worldwide make your tournament their tennis vacation destination! Bring ICTA's Pro Tournament Growth Partnership Program to your WTA or ATP tournament. ICTA has a goal to increase ticket sales for each tournament we attend by a minimum of 1500 seats. I've got the ability and connections to make these events happen. © Copyright , International Christian Tennis Association. All rights reserved.